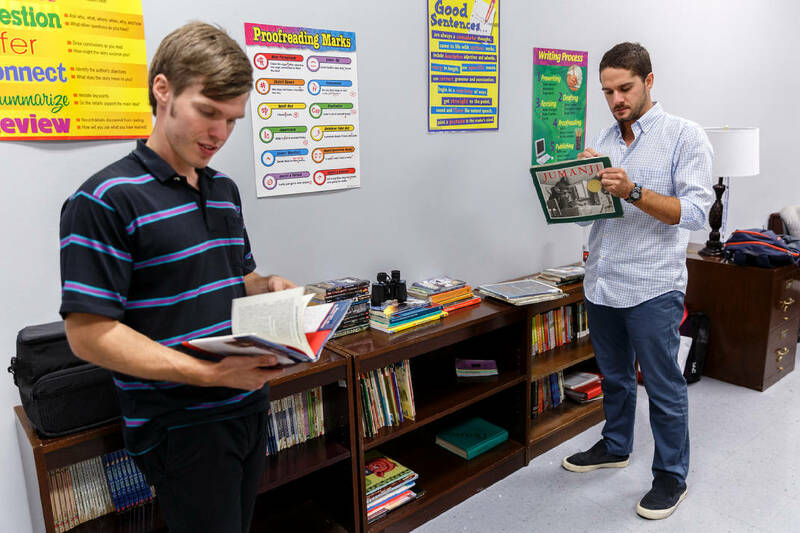 Staff photo by Doug Strickland / Teachers Michael Morgan, right, and David Theiss review donated books in Morgan's classroom at Skyuka Hall's new location in the former site of Chattanooga Charter School of Excellence on Thursday, Aug. 16, 2018, in Chattanooga, Tenn. The independent school was forced to relocate after a water main break ruined the school's previous location. Thanks to community support and donations, they were able to move to the new location in Eastgate Town Center. 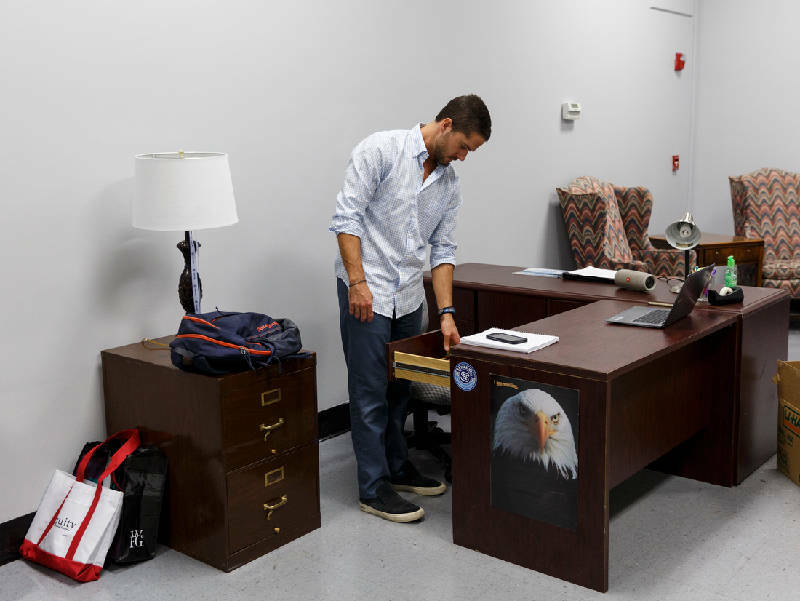 Staff photo by Doug Strickland / Decorations are set up to be hung in a classroom at Skyuka Hall's new location in the former site of Chattanooga Charter School of Excellence on Thursday, Aug. 16, 2018, in Chattanooga, Tenn. 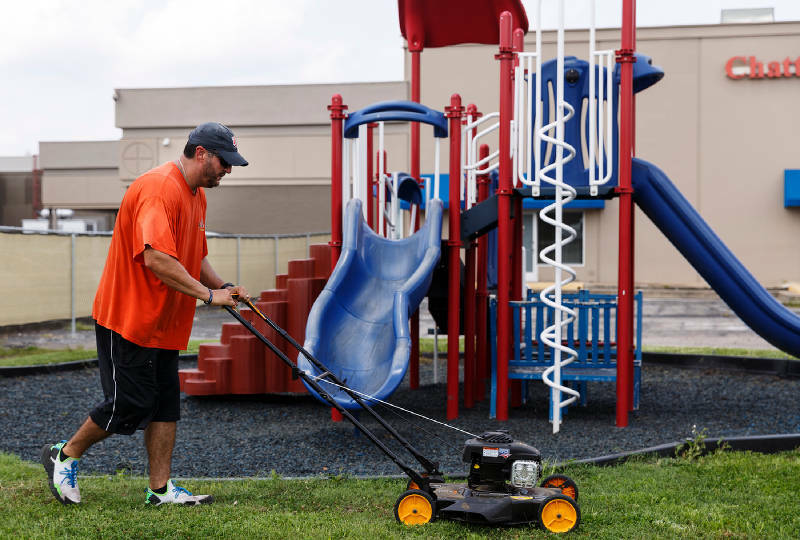 The independent school was forced to relocate after a water main break ruined the school's previous location. Thanks to community support and donations, they were able to move to the new location in Eastgate Town Center.